I like the post industrial revolution status quo but I would be ok with some regulations. I try my best to not use my alts for an "unfair" advantage. Only on one night did I use one to afk farm at two different places. I've never used it to increase spawns. I'm currently using it to stop mobs in the nether from spawning so I don't have to worry about them when building. The problem with an AFK limit of 30 minutes is that there are farm designs where that simply isn't enough to get it running. My iron phoenix, for example, takes an hour and a half to get up to maximum production. If I log out or leave and unload the chunks, it's broken and will take another hour and a half to get to max production. This is why when I use it, I start it up once and leave my alt there for a few days so at least I can enjoy the game while its running. If we are looking at it from a server cost perspective, the more alts afking the better, as it allows us to minimize up time in the long term if everyone is on afking at once. Tuto effectively abandoned this region when he literally moved Timbalta. In the thread he said he abandoned it and it was free for anyone else to take, however it has laid dormant for 3 and a half years. He's confirmed recently on IRC and on Blacraft that he abandoned it and that we're free to take it. This region is significant in that it contains literally the entirety of the Aahrus-Konnishi transportation routes, the roads and rail (and future horse road). It's a significant border region in our spheres of influence that has been actively built on by both of us (and in the case of Desertopia roof 2, annexed from) literally since the first days I was on Blacraft. Syule built that god awful diagonal road in the water to Aahrus in Timbaltor Plains the week I joined. We don't like the idea of it being freely available for someone (..quontex if he were to ever come back, etc) to interfere in. Timbaltor Plains is a joint region between syule and I. Name taken from it's namesake. hmm super strange. i have not experienced this problem. has anyone else playing recently experienced it? I'm not sure what you mean by dual bid? But whereever the event is I can help with supplying stuff like gunpower and dyes and such. Either way I'll probably offer to do a fireworks show no matter where it's hosted depending on how much time I have. One question I have is, if we're hosting it in creative, would I be allowed to spawn the fireworks in with a plugin rather using a complicated system of dispensers and redstone? The two black boxes, the one tiny little island that TMC and I built and the savannah island/peninsula that doesn't have much of a significant development but if it could be saved would be convenient. Well basically I wanted to "own" the area but yqt wasn't allowing that. Then I died a lot because of quontex. You wanted to create an independent state using my own land -.- If you didn't have such a prime location as far as connecting all of my other lands goes, then it would've been possible, but you essentially owned like a huge transportation hub and I couldn't lose control of that. I support your new location though, out of my mind! I am fairly certain the jungle is already claimed. I do indeed have the swamp and the remnants of the jungle biome currently claimed. I'm open to negotiation though, I don't really need or want it, just maybe part of the southern coast so I can finally complete my plan of building there. Blacraft General / Re: A Second Battleground? Of all the new biomes, I think roofed forest would be the best one/most unique for battles. If people want a jungle & taiga hybrid, I'd be willing to give up some UYP land for it, though there'd have to be a no nether portal rule since I'm very obsessive about portals near me. I like planning I would love to do economic planning. I just wanted to call that before discussions begin. But do you have Fraps/recording program like that capable of recording in that quality and are you capable of recording in 1920x1080 resolution? And with your internet, would you upload the resulting file that would definitely end up being several GB? I bought Fraps a while back and my internet is supposingly getting upgraded in November. A lot of ifs here but I could be a backup option if necessary. I'm planning on building a better and more reasonable computer by 2014 so I could be able to record it if necessary. If we are going to do a system like this, we should probably have it so the same person/place can't host it two years in a row. 1.7.2 is out. I hope everyone saved their generated structures! Yqt, could you tell me where you want Mystic Marsh moved then? Must've misunderstood me. The spot you're moving it to is fine. Specify where you're interested in having it, Revolt City and Capital I guess? Why do we need Savanna M biomes? 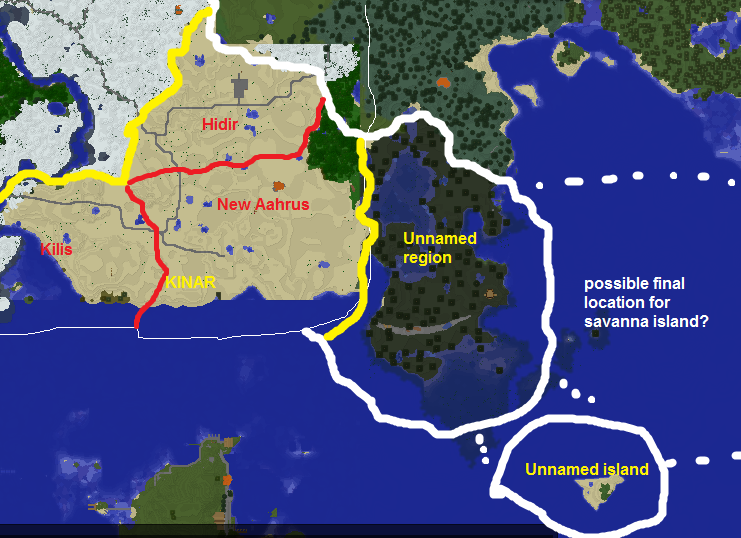 Also it's basically impossible for a stronghold to generate in new land unless we crop out inactive land around spawn. It's 1,000 blocks I think. Mojikit Stronghold is 500 whereas Swamphold is 600. 1. This is Mystic Marsh, I'd like it extended to include part of the taiga to it's east. There is a dual cave spider spawner under there I'd like to convert into a string farm since I have no string anymore. As far as moving it to where you said, that'd be ok, but if you do I'd like it to be part of the continuous UYP. 2. I don't have any plans for this half of Nunatriche. The half with the big lake I have plans for and the desert (Kinar) I have plans for, otherwise the half outside of that boundary can be cropped and become 1.7 land. Those stone circles are from a friend of stuffhappens. When I cropped for 1.5 I left them in and it's not really a big deal as he's not active anymore. There is an island far out to the west where Rocksolid set up a base. He hasn't logged on in nearly a year so it probably doesn't matter but still, he's there. I'd be interested I guess. As far as the possibility of being surrounded by the completely same biome, it's basically 0% unless we do large biomes. Snow plains are at most 2k by 2k and oceans are way smaller now. I don't like the idea of having it in a city if the one who built it isn't even interested in hosting the event. I think it's better that we agree where to host it rather than choosing the location randomly. Get a list of places from people who are interested and then randomly decide it from there? Though I think it should be in Spawntown again. Just putting this out there that this is essentially a waste of resources. Tuto said he would be ok with just modifying the rail that runs Aahrus-Desertopia so that he has a station on it. This rail ends 5 blocks from Rail Route 5 and transferring is absolutely no problem. The route he would take is nearly the exact same as previous infrastructure, with only the addition of a station in Timbalta and another one in Mauritius. As far as the claim that we will need it to expand to any future members in that area is also false. 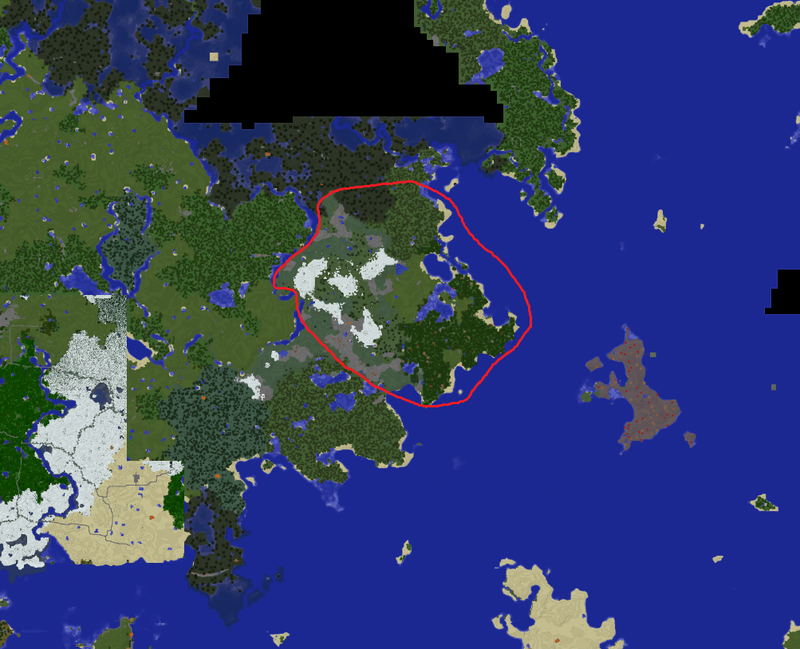 Because of Welptopia and Vatallus, there is no one but kipz for a good thousand blocks north or east of him. 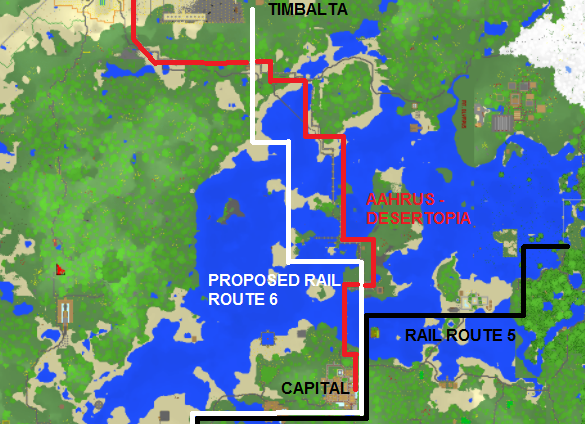 Rail Route 5 is much much closer to unclaimed territory. Not saying we shouldn't do this, but there is a much cheaper alternative that is basically the same. This is though, the most expensive rail related poll in the Blacraft Voting Centre so we need some criticism. chdistantfarm is not the problem. Did some research on the cause of the restarts. They are basically the server shutting down because of a memory leak, very likely due to a plugin. The only massive widespread plugin we have is chdistantfarm, so I'm removing that for a while and seeing how RAM usage changes. I'll let the tests run over a day and see if we notice anything big. The memory usage doesn't jump much with activity, basically ruling out a logging plugin or one that doesn't always run. With the update going to come out within a month or so we should probably start getting ready. A new map is probably required to start off with, and determine where we will be cropping well beforehand so we can explore the developed areas in 1.6.4 so we save the things. Blacraft General / Re: Switch from multiplay? Wouldn't we be able to just move the plugins we have over? Blacraft General / Re: Change to Large Biome Generation in 1.7? If we use large biomes, the map will only consist of maybe one or two new biomes. Large biomes are generally 4k by 4k. 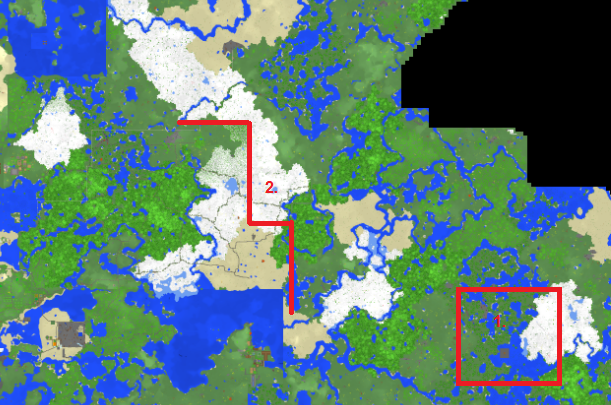 So unless we expand border guard to 20k, then large biomes are useless. I could see banning block breaking items, maybe. Banning other items though? If you want perfectly fair battles just ask someone outside of the battleground to fight you in iron everything. Potions are probably the most overpowered items though, hardly enchanted diamond gear, if you wanted to ban overpowered things. Bla probably won't approve of this, but during what will likely be a 1.7 temp server, I'll go into amidst and look at the 1.7 blacraft map and maybe we could use this to crop. ie, if there is an ocean directly to the east, we could crop as close as possible and make fake beaches, where as if there is a continent directly to the west, we'll crop 200 blocks out. Good idea with the zone numbering. Are you editing the world map atm? Otherwise I'll name/number the zones. Go ahead, I changed my mind about what I was going to do with the map anyways. Can we name battleground zones? Would make any possible war reporting much easier. Or at least number them, so that battles can have clear names (ie, Battle for Zone #1 on 20130102). Anyways if something big happens in the battleground soon, I plan on logging any battleground actions taken, including belligerents, activity during battles (eyewitnesses) and fatalities based on log reports. The logs get so detailed that we could even determined how much damage was done by a front to another one. Bla originally didn't approve of the way I worded this other option, so trying again. Another idea I have is to explore the continent and just crop the outside of it, allowing for the chunk boundaries to be into the ocean. The continent is pretty big though and it would cause some logistic issues, so it's probably better to just do the radius to just crop as close as possible. We could also crop a specific radius around developed areas.